You have 1406 characters. Don’t forget to add important and relevant keywords in your description to improve your iTunes app page and optimize your SEO. 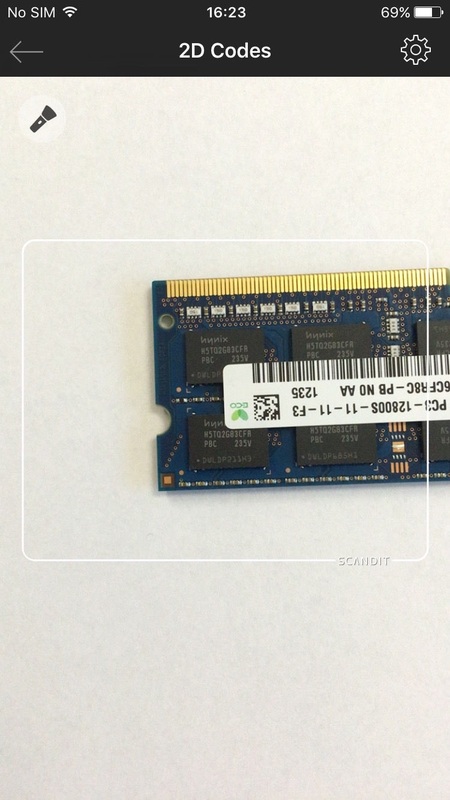 The award-winning Scandit Barcode Scanner SDK transforms smartphones, tablets and wearable devices into very fast and reliable barcode scanning tools for consumers and employees. 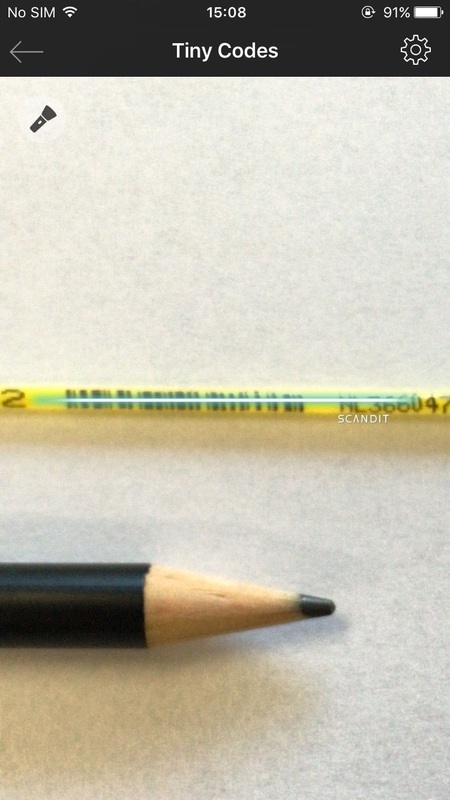 The Scandit Barcode Scanner app showcases the barcode scanning performance of the Scandit Barcode Scanner SDK. The Case Mode which support a great scan experience similar to traditional scanners with the Scandit Case. 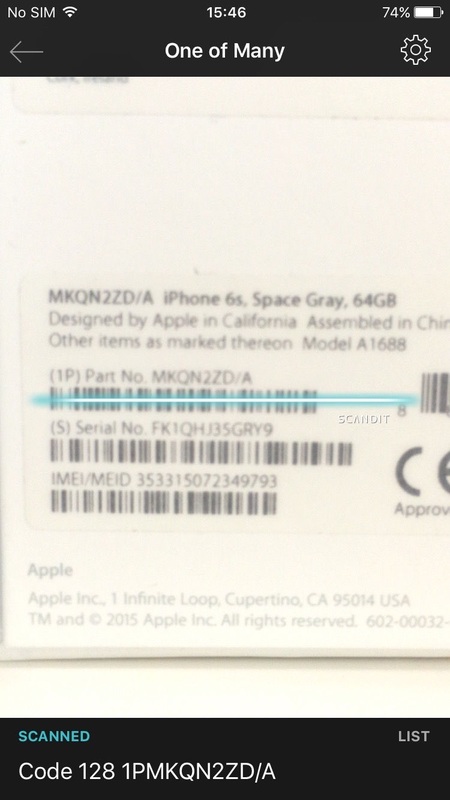 - Optimized Scan Modes and UI styles for various use cases: 1D Retail Codes, 1D Industrial Codes, QR Codes, ID License PDF417, 2D Codes, DPM codes, Any Code, scan Multiple Codes at Once, select One of Many Codes in a list, Tiny Codes, Case mode, scan From Far Away, With Front Facing Camera, or Fast Short Range scanning. - Scan EAN, UPC, Code 39, Code 93, Code 128, GS1 DataBar, QR Code, Data Matrix, PDF417, MicroPDF417, Aztec Code, GS1 Composite Codes, Postal Codes, GS1 DotCodes and more. - Easily scan barcodes even in the most adverse of conditions, such as low lighting, glare and warped surfaces. 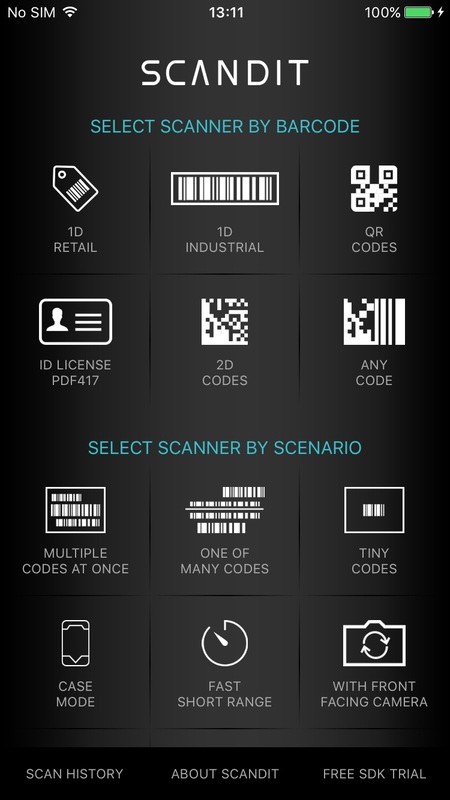 You can sign up for a free test license at http://www.scandit.com to integrate the Scandit Barcode Scanner SDK into your own mobile app. Leverage Scandit Barcode Scanner SDK to offer extra functionality and excellent scan experience to your users.